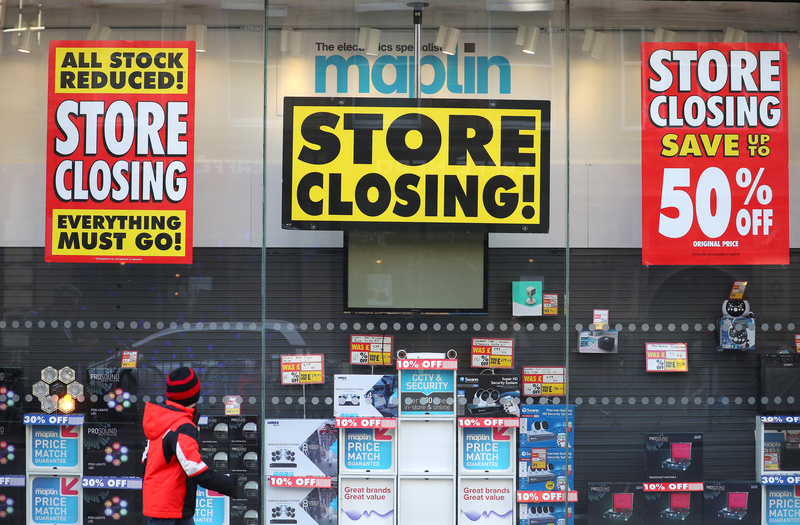 Retailers like Maplin are failing and consumers deserting the high street. Yet the number of vacant shops isn’t rising. Funky leases that offer rent-free periods, or leave landlords on the hook for declining sales, are keeping doors open. That can only defer the pain for so long. The number of customers visiting UK shops fell 3.3 percent in April from the same month in 2017, according to data from the British Retail Consortium published on May 14. That follows a 6 percent year-on-year decline in March. The 4.8 percent decline over March and April was the biggest on record. Retailer Mothercare, which operates 137 stores across Britain, said on May 14 it planned to raise fresh equity to restructure its operations. Its statement followed a May 12 report in the Telegraph newspaper, which said Mothercare was planning a company voluntary arrangement (CVA) that would enable it to shut some stores and secure rent deductions on others. Retailers including House of Fraser, New Look and Carpetright have also recently undergone similar CVAs. Mothercare shares were down 6.46 percent at 18.68 pence by 1214 GMT on May 14.